It may have been a long time in the making, but Tiger Woods is officially back! The 14-time major champion notched the 80th title of his illustrious PGA Tour career at the Tour Championship on Sunday evening by two strokes over Billy Horschel. The victory, his third at the Tour Championship, came exactly 1,876 days since his last win in 2013. 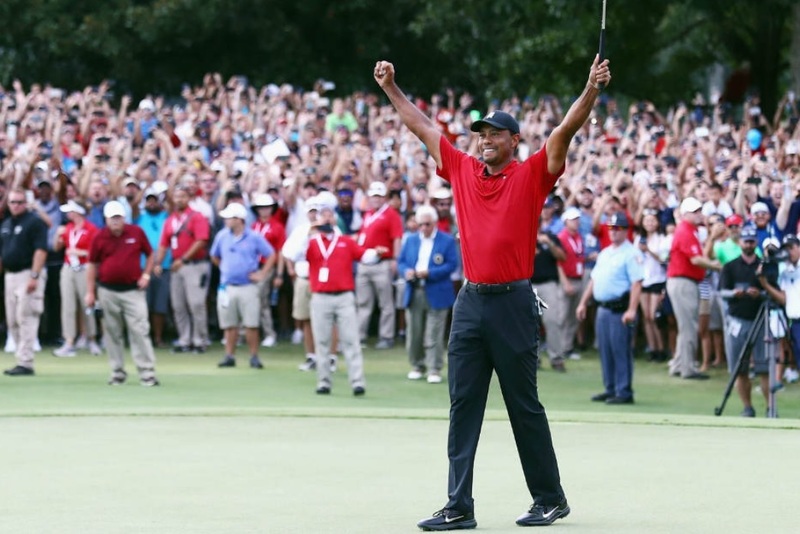 Woods won in vintage fashion, going wire-to-wire at East Lake and never really giving anyone in the field a chance to catch him in the final round. Woods played at a high level all week, but his finest moments came on Saturday afternoon when he made six birdies in his opening seven holes to take command of the tournament. 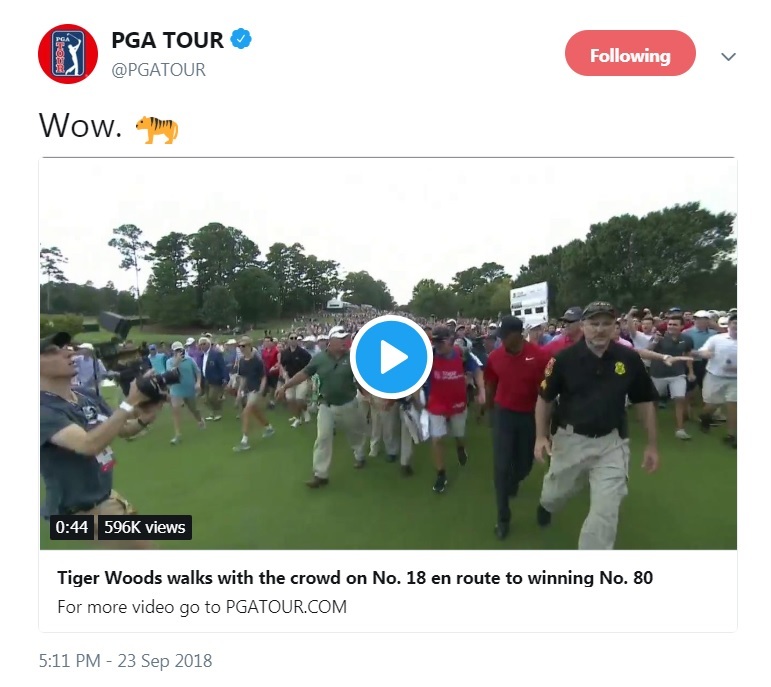 Coming into the final round, Woods knew he needed several things to bounce his way in order to walk away with both the Tour Championship and the FedEx Cup, including a tie for 15th place or worse from Bryson DeChambeau; a tie for fifth-place or worse from Justin Rose; and a tie for third or worse from Tony Finau. And for the majority of his final nine holes, it seemed as though Woods might actually pull off the impossible. But Rose, who temporarily dropped into a tie for 6th place with four bogeys between the 9th and 16th holes, made a birdie on the final hole to slide into a tie for fourth place and narrowly win his first FedEx Cup and its $10 million prize. Nonetheless, the victory vaults Woods to 13th in the Official World Golf Rankings, and will almost certainly provide the American squad with tons of momentum and confidence heading into this week’s Ryder Cup. Ever wonder what the difference is between professional golfers and us regular Joes? 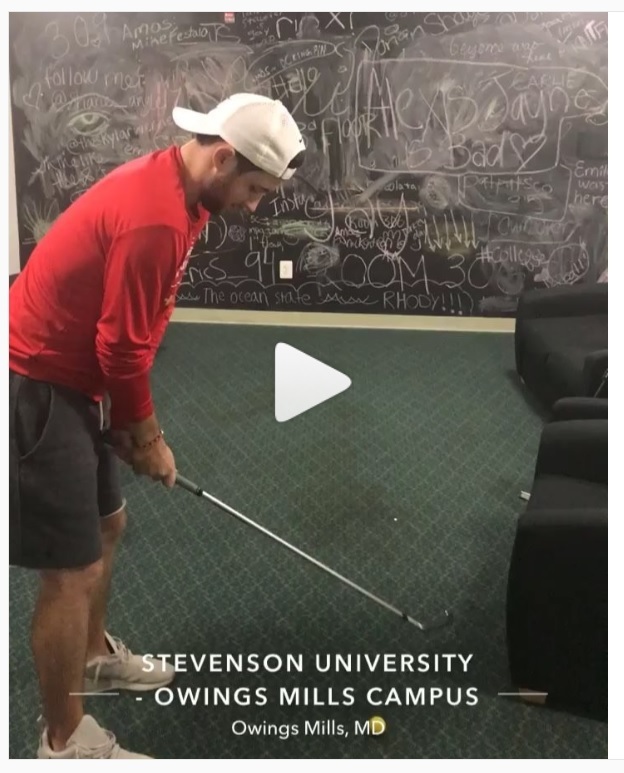 Well, aside from hand-eye coordination, tempo, balance, core strength, and natural skill, the difference is clearly mental acuity and the ability to bounce back after a horrendous hole. If any of us make a sextuple-bogey on a single hole, our rounds are essentially over. Defeated, we sulk for the remainder of the round, never regaining our composure or concentration as we continue to rack up all types of dastardly numbers. Not the pros, though—they seem to have that elusive ability to bounce back. Take Arizona State’s Max Rottluff, for instance. The 25-year-old Dusseldorf native got off to a less-than-ideal start in his opening round at the Web.com Tour Championship thanks to a sextuple-bogey 10 on the second hole. Yet Rottluff dug his cleats in and rebounded with a string of seven birdies and no bogeys over his remaining 16 holes to somehow finish the day in red figures at 1-under par! 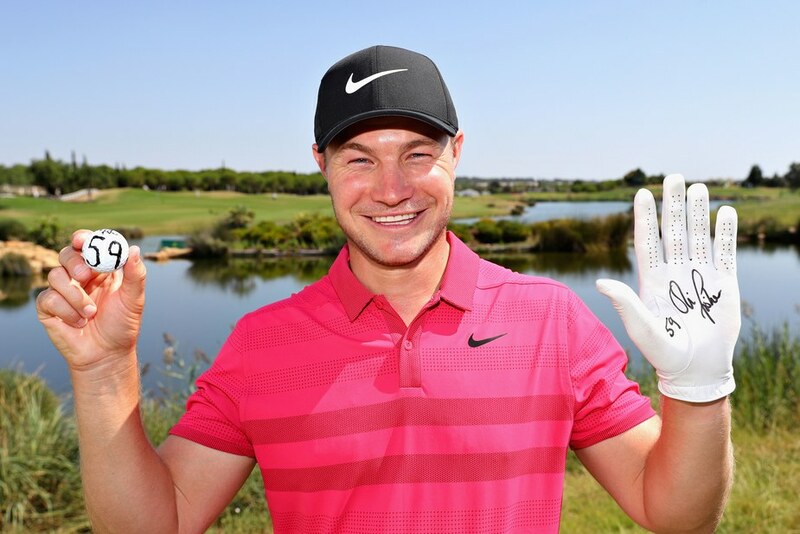 Englishman Oliver Fisher became the first player in European Tour history to shoot a sub-60 round with his score of 59 at the Portugal Masters on Friday. Fisher actually struggled in his opening round, carding a 71 on the Arnold Palmer-designed Dom Pedro Victoria Golf Course. But the 30-year-old came out of the gate blistering hot in his second round, making the turn in an incredible 28 shots after dropping five birdies and an eagle putt on the front nine. 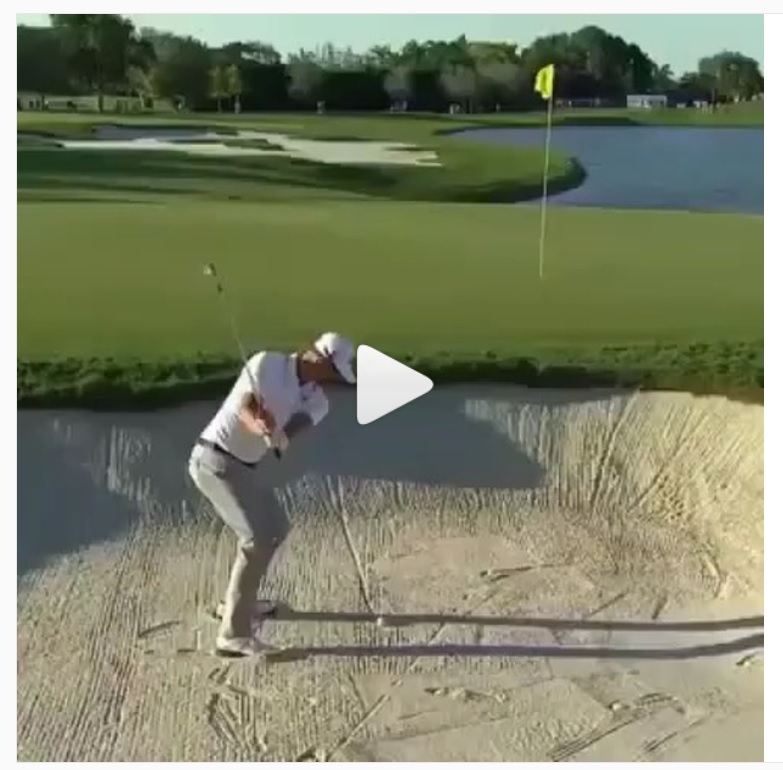 He added five more birdies and one heck of a par save on the back nine to get to 12-under, and would have finished the day with a “Furyk-esque” 58 had his 40-foot birdie putt on the 18th hole not burned the edge of the cup! “It was important to keep reminding myself that I was out there to have some fun, enjoy it and not get too tentative,” Fisher told reporters. “When you’ve got a good round going, it’s easy to do that.” Truer words have never been said. 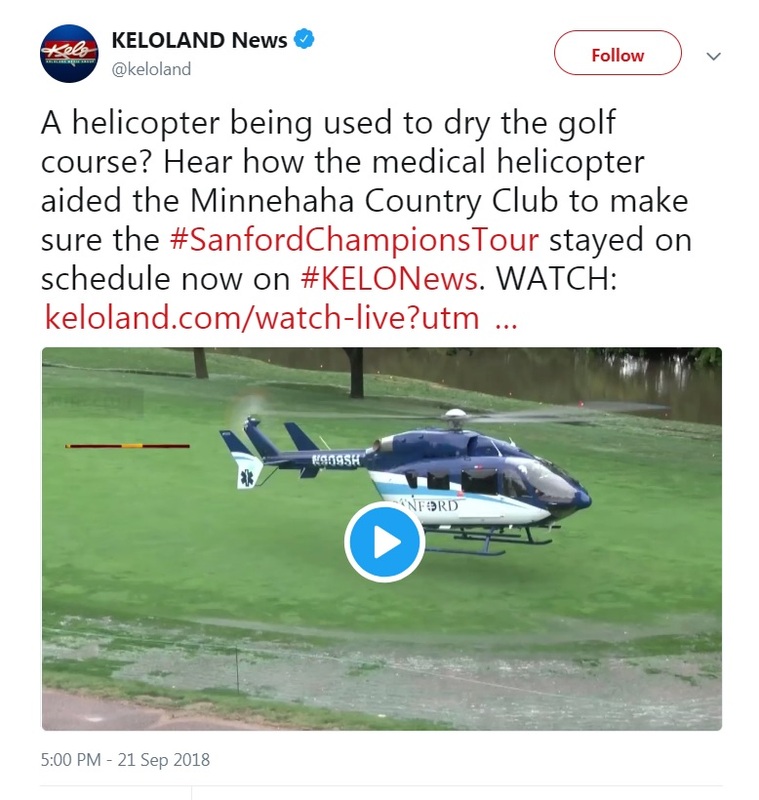 After 5 inches of rain fell at Minnehaha Country Club on Thursday evening, the club commissioned the services of a Eurocopter EC145 to expedite the drying process for Friday’s PGA Tour Champions Sanford International tournament. We’re not exactly sure what result this guy was expecting with this shot, but we are certainly glad it was captured on video so we could show it to you! Like shanks, do you? Well then, feast upon all of the shanks you can handle!